Crêpes au citron: roughly translated, it means "lemon heaven". Technically, they are crepes made with lemon, but I have made my decision. 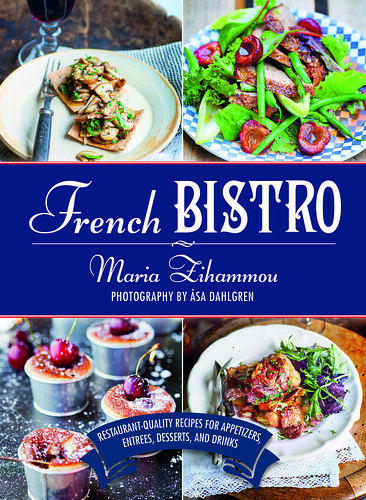 This lovely recipe is excerpted from French Bistro: Restaurant-Quality Recipes for Appetizers, Entrées, Desserts, and Drinks . 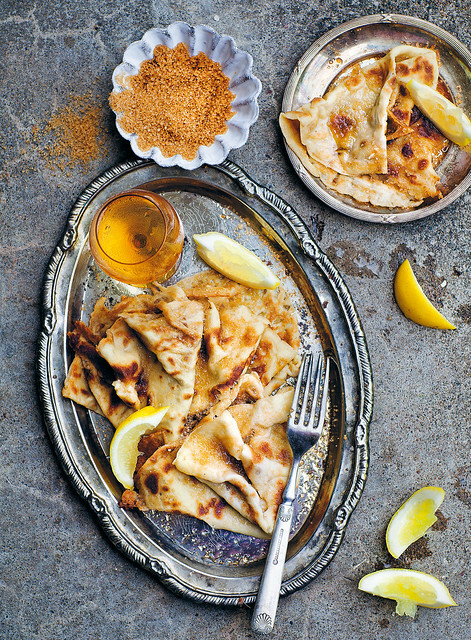 What would a French cookbook be without crêpes? Those soft, buttery, and thin pancakes you can buy just about anywhere in France. So simple and delicious with just freshly squeezed lemon and raw sugar on top . . . or filled with my amazingly good noisette crème. Whisk the eggs until fluffy. Add the flour gradually and continue whisking until all clumps have disappeared. Add the butter and salt; whisk together. Finally, pour in the milk and water, and whisk the mixture into a runny pancake batter. Place in the fridge to cool for at least an hour. Pour a thin layer of batter into a frying-pan with butter, and cook until it takes on a light golden color. Serve with sugar and lemon.